How are they 3 related? 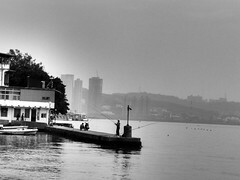 Simple : they are all caught in my camera in 1 hour’s period. 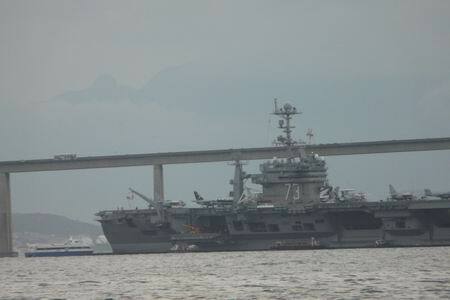 First, USS George Washington, a Nimitz class nuclear powered aircraft carrier is sleeping at Guanabara Bay. The big letter 73 says it all. 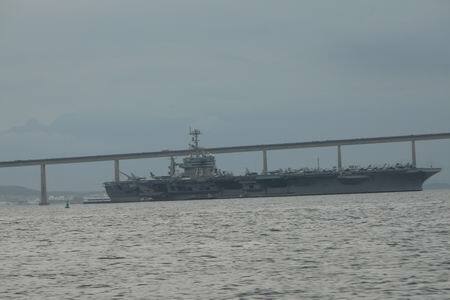 CVN-73 is ‘teng-kee’ of USS Georgie Washington. p/s : ‘teng-kee’ is IC in hokkien. 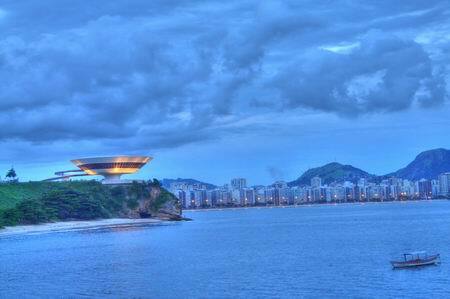 Caught it when passing by using ferry back to Niteroi. 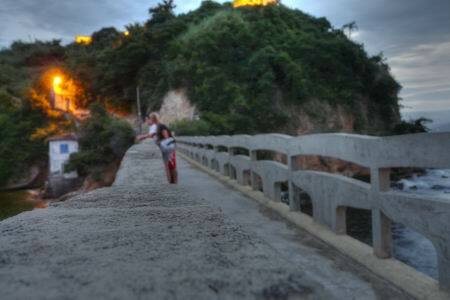 Next, went to the bridge at monastery island of Boa Viagem. Jesus is covered with clouds. He’s been covered the whole day already. He must be quite boring, since can’t see much of Rio that day. 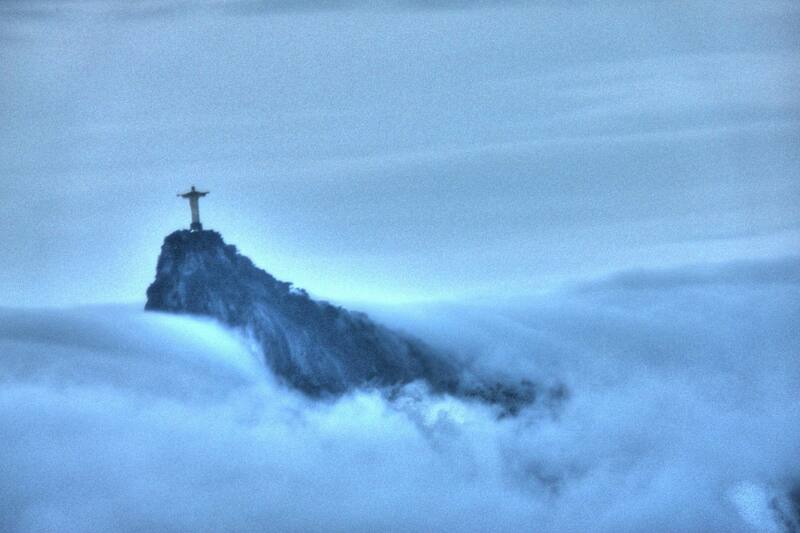 clouds below Jesus the Redeemer. Oh ya, this is the bridge we were at, while took photo of Jesus. The monastery island is at back of it. Its opened only for visitor once a month, for early morning sunday mass. Great idea…. knowing that I can’t wake up early. Miss it this week, you’ll need to wait 4 more Sundays. Blimey! Next, Oscar, your turn. 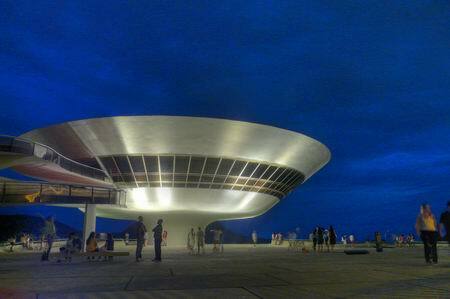 This is the museum designed by Oscar Niemeyer, the famous Brazilian architect, which most call brilliant. 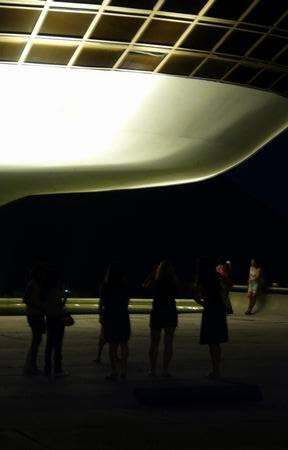 His works include UN building in New York, the whole new capital of Brazil. MAC is just a tiny work, but its nevertheless one of his more famous ones. Its so popular that I saw it on a book’s cover at Singapore’s Border Bookshop. 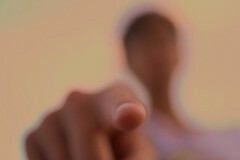 Go and check it out. 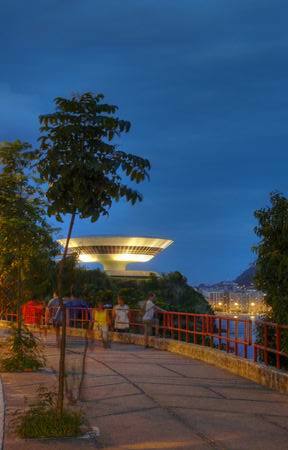 The book is aptly named “1001 Buildings You Must See Before You Die“. Yeah! Great – I’ve seen the one at this book’s cover.